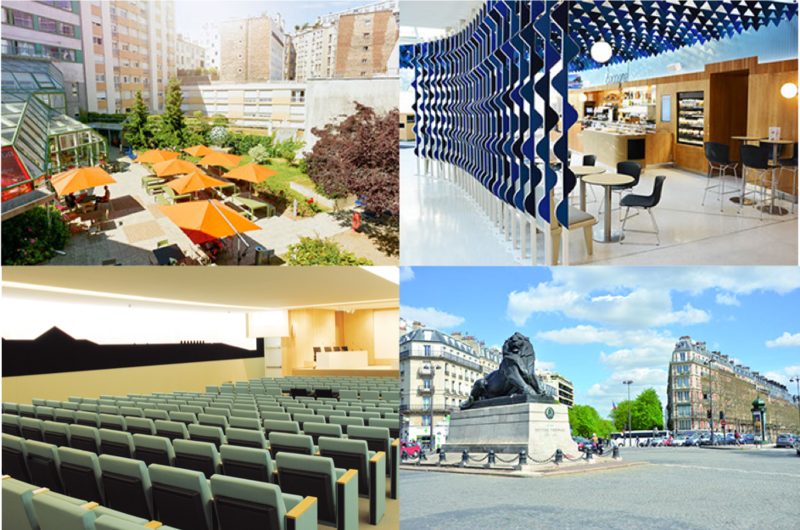 ECSA2019 will be hosted by FIAP Jean Monnet conference center, located at 30 rue Cabanis, 75014 Paris. The conference venue is located in Paris Rive Gauche. The FIAP venue is offering single rooms for 77 euros a night and double rooms for 92 euros a night. Hotels at walking distance from the conference can be found here. You can reach Paris by trains and flights. The two main airports are Roissy Charles de Gaulle and Orly, a third minor airport is Beauvais. The main train stations are Gare de Montparnasse, Gare du Nord, Gare de Lyon, and Gare d’Austerlitz. To reach Paris from the Roissy Charles de Gaulle airport using public transportation, you have two options. Option 1. Take RER Line B (all trains go to Paris). Buy tickets at Transilien machines in the airport terminal. These have shorter waiting queues than the ticket counters. If available, you can take the direct train to Paris (first stop in Paris intra muros when arriving from the North on RER B is Gare du Nord). Option 2. Take the RoissyBus or airline shuttles to reach Paris. Then use Metro or Bus Lines. Maps are available in all stations and in the airport. To reach the conference venue (FIAP Jean Monnet of Paris) using RER Line B, step out at station Denfert-Rochereau. Then, it is a 10-minute walk to the FIAP, or you can take Metro Line 6 to Saint-Jacques station. Then, it is a 8-minute walk from Saint-Jacques station to the FIAP. Another way is to take Bus Line 21 (if it is in your vicinity) to the Daviel stop, then it is a 7-minute walk to the FIAP. Up-to-date prices for travel passes are available on the RATP Web site. Maps of all public transportation lines (Metro, RER, Bus, Tramway, Airport shuttles) are also available on the RATP Web site. To reach Paris from the Orly airport using public transportation you have two options. Option 1. The easiest is to take the OrlyBus that stops at Denfert-Rochereau Metro/RER station. Then using the Metro, RER, or other Bus lines, you can reach any other place in Paris. Airline shuttles are also available to reach Paris. Option 2. Alternatively, you can take the OrlyVal to reach RER Line B at the Anthony Station, then from there go to station Denfert-Rochereau (first stop in Paris intra muros when arriving from the South on RER B is Cité Universitaire).